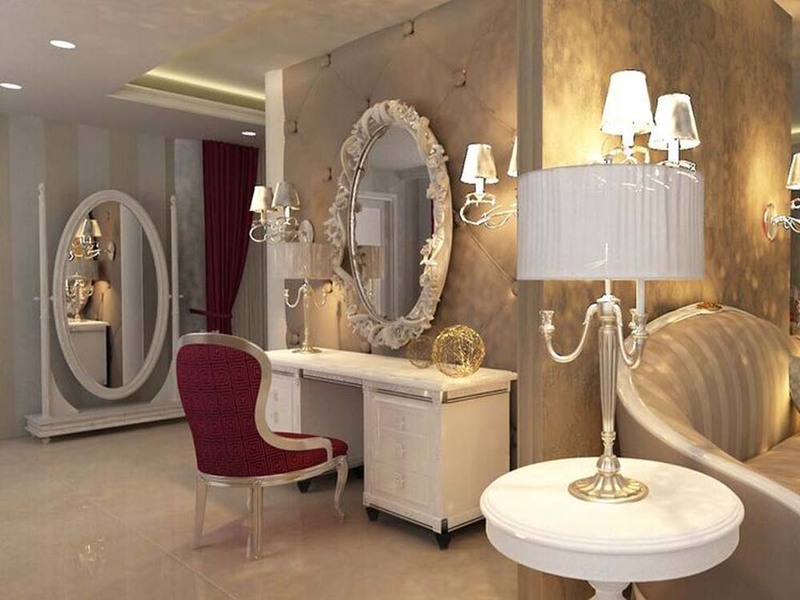 Jubilee Hills showcases a gorgeous mix of luxury furniture pieces, lighting fixtures and top of the line fittings. 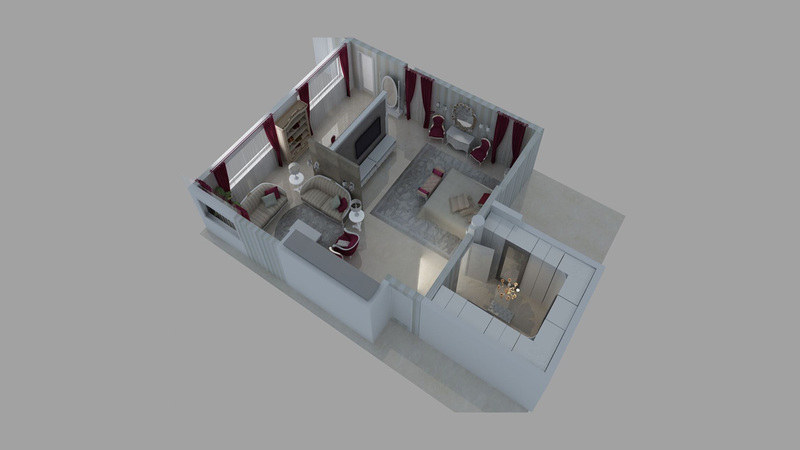 Our designers worked with the client to create an interior with functionality and style in mind. 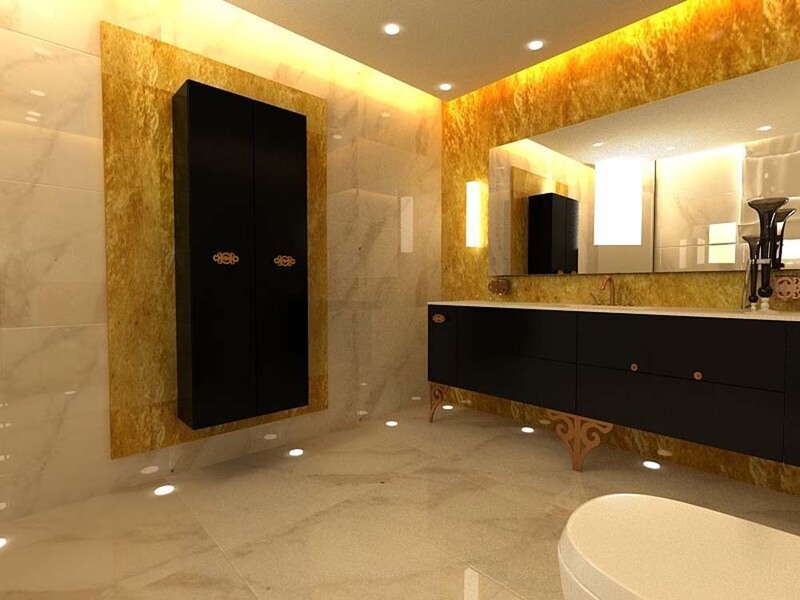 The light-coloured marble floor serves as a backdrop suitable to any colour the owner might like to add for future home renovation and improvement. 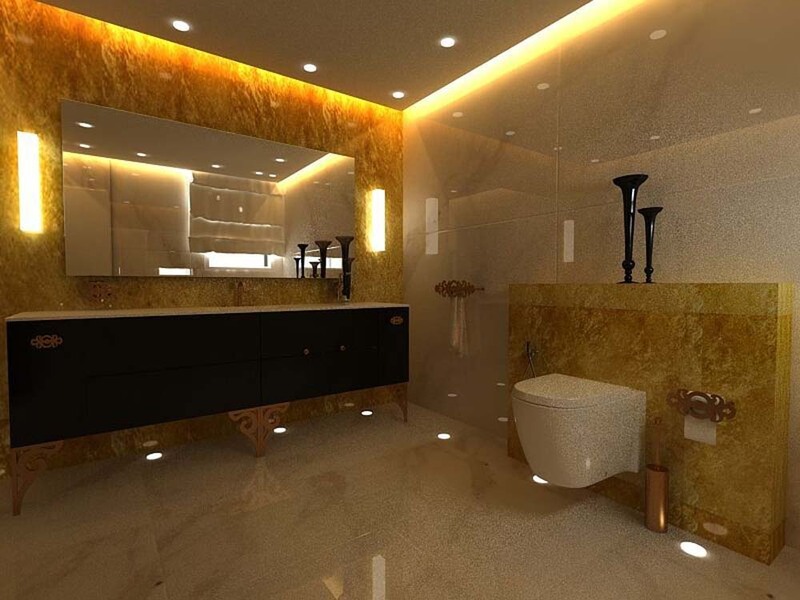 The bathroom is fitted with glass walls to create a relaxing ambience and added luminosity. The glossy surface of the interior makes cleaning easier and faster and gives the appearance of added space. 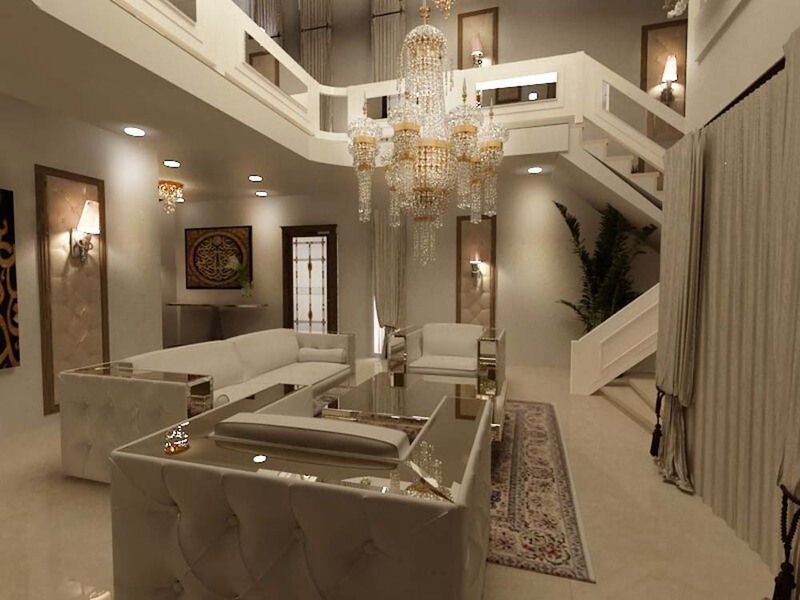 The seating area features the best Swarovski lighting fixtures such as chandeliers and accent lamps. 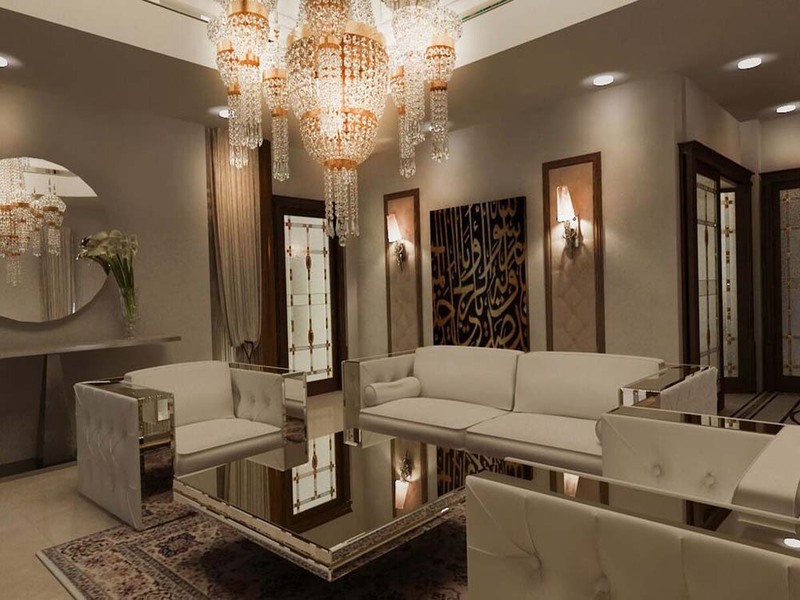 Our designers selected a glass centre table again to maximise the luminosity in the room. Cavalli seating options, which include chairs, sofas and pillows, provide a sleek and minimal look. 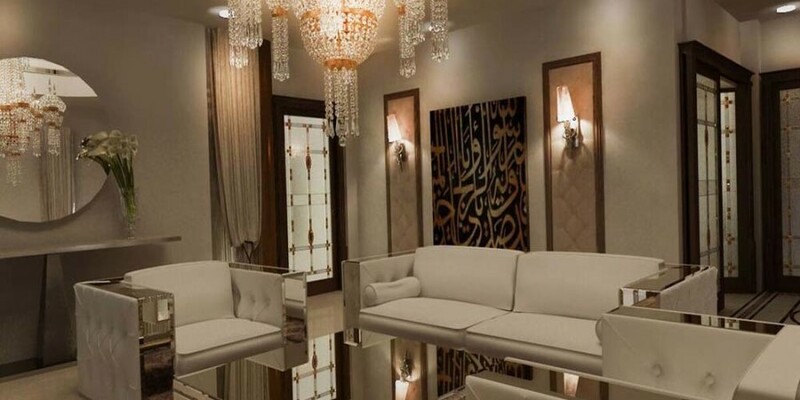 Kymo rugs, flower vases, curtains and a circular mirror are also added in to add accents to the space. All these are arranged strategically to ensure the residents can move around from room to room with ease. 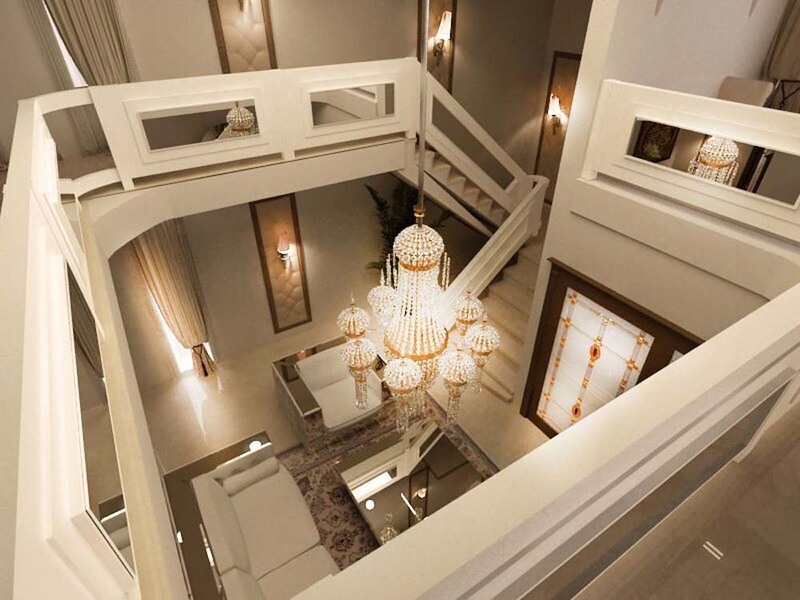 The staircase is constructed around the perimeter of the room to ensure that a double height seating area can be enjoyed on the ground floor. 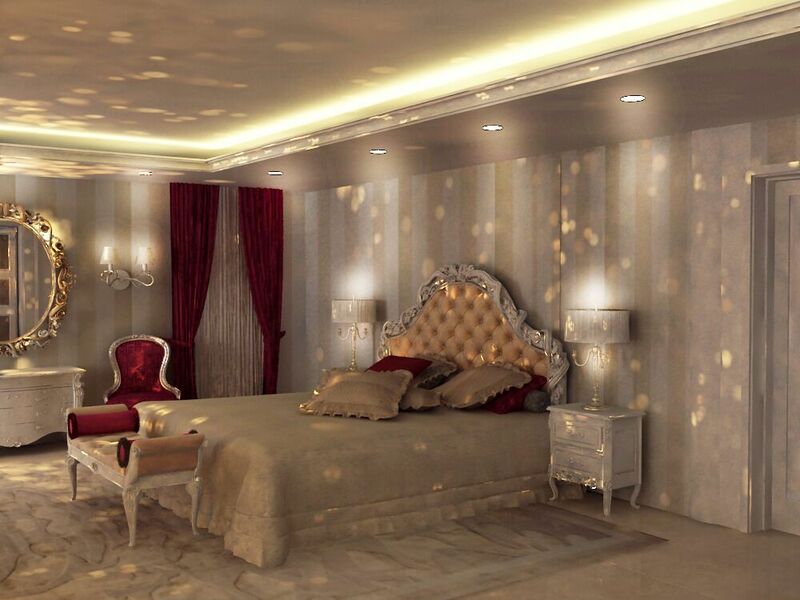 The bedroom is the most glamorous and cosy area of the home. 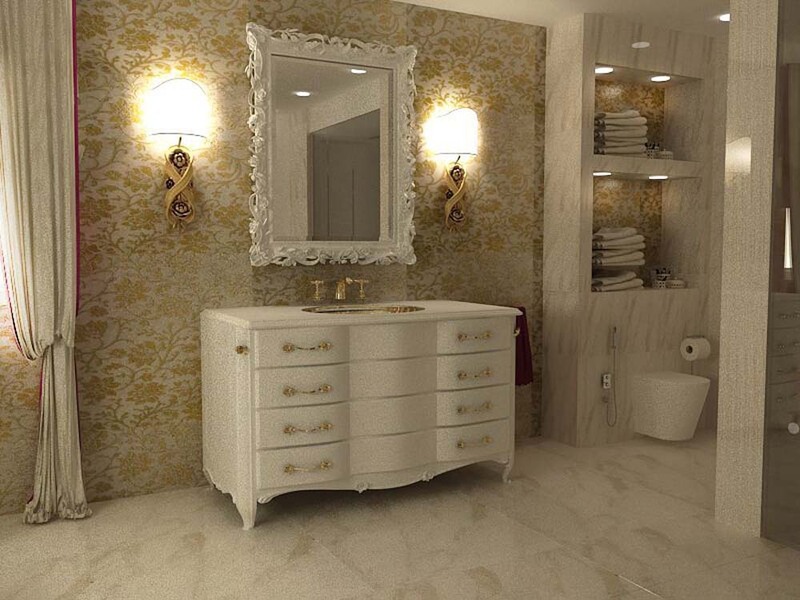 The client was keen to create a personal haven including a walk-in wardrobe, vanity area and storage spaces. 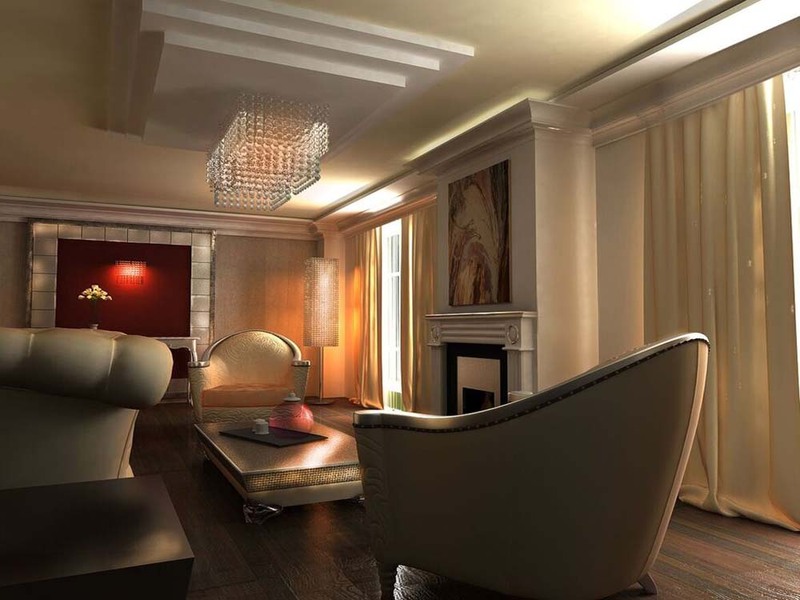 The lowered ceiling and accent lighting ensure that a peaceful and calm ambience is created. The textured wall coverings also help to create a warm and cosy feel. LOGO wardrobes were installed to provide the storage solutions as well as the walk-in suites and dressing areas. 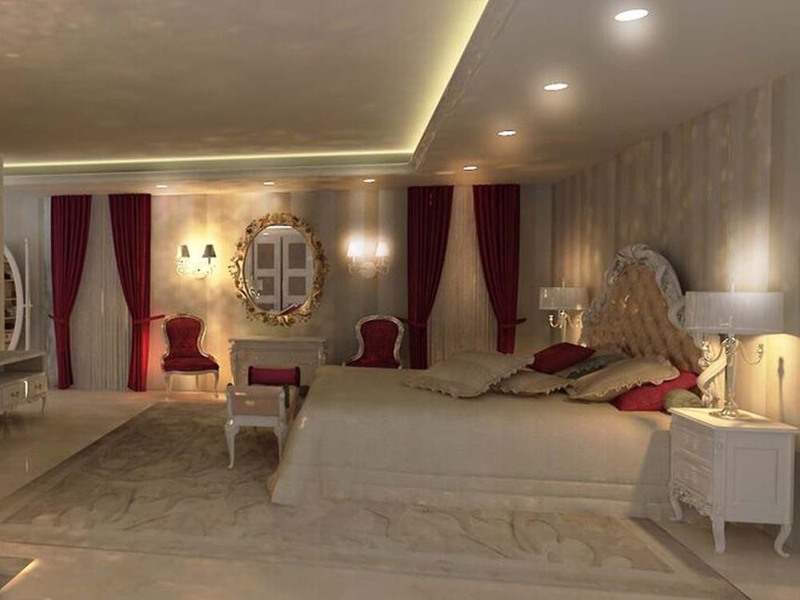 The whole look was brought together by adding Opera beds and other bedroom furniture and custom made blinds and curtains in striking, contrasting colours. For added safety and convenience, the home is fitted with a complete automation & security system.